Apple's iTunes, despite being the standard mode of data management for iOS devices, iOS users do experience several different unknown iTunes errors. 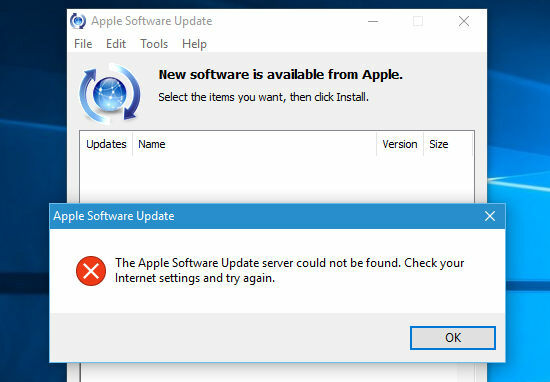 Well the iTunes does have this drawback that if you do not run the latest iTunes version on your computer, be it Mac or Windows, you are more likely to face various different unknown iTunes errors while performing the tasks. In order to work smoothly with iTunes you must regularly look for latest iTunes update. If you're unfamiliar with the process, fret not! We are going to demonstrate you how to download/update latest iTunes for Windows/Mac computers. Keep reading! If you own a Windows computer this section will certainly help you out. In this section we are going to demonstrate the step by step process to get the iTunes latest version downloaded and installed over your Windows computer. Let's discover the process now. 2. Scroll down on the page to locate the 'Download Now' button and hit it. Now, hit the 'Save' button appearing on the bottom of your screen to get the iTunes latest version for windows (be it 7/8/10). 3. Once, the download is complete hit on 'Run' to execute the installation process. An installation wizard will pop up on your screen now, hit on 'Next' button available on it. 4. Set the preferred parameters like the location you wish to install the package to or language or simply, hit the 'Install' button. Lastly, hit on 'Finish' and you're done. You now have successfully downloaded and installed the iTunes latest version on PC. Now that you've know about downloading and installing latest iTunes for windows, it's now time to learn about getting the latest iTunes update for Mac computers. Here is the step by step tutorial to get the work done. 1. Launch the iTunes application on your Mac computer and then hit the 'iTunes' menu button from the main menu bar at the top of your screen. Now, from the appearing drop down menu, hit on 'Check for Updates' option. 2. It will then automatically start searching for latest iTunes update. If the update is available, a new window will come up on your screen, hit on 'Download iTunes' and follow the prompts to get the older version updated to the latest version. Before we move to discussing about the solution, let's first get to know about several different unknown iTunes errors that quite commonly known to interrupt your iTunes activities. iTunes was not installed correctly. Please reinstall iTunes. Error 7 (Windows error 127)"
Error 2, 7, 127, 39, 3194, 2324 and so on. Error -54, -50, 11, 17, 13014 and so on. Note: Please remember these error codes have different reasons to pop up and hinder your activities while using iTunes. While some could occur due to server problems or some could occur due to inappropriate installation of iTunes or could be related to Sync issues. While there are endless unknown errors that may crop up while you are trying to get your iTunes updated and you may have no clue what went wrong! Fret not! Here we have brought to you Tenorshare TunesCare.for your rescue. With this mighty tool, you can get almost all of your iTunes Errors including the Sync Errors as well with just a matter of a single click. This tool not only enables you to fix your iTunes errors but also optimizes and boosts the performance of iTunes for optimum performance. Moreover, this tool works smoothly over both the leading computer variants, i.e. Mac and Windows. What's More? The tool is absolutely free when it comes to fixing iTunes Sync issues. Let's now get to know the step by step guide on how to use Tenorshare's TunesCare to your iTunes issues. Step 1 – Get to the official Tenorshare website and download the Tenorshare TunesCare on your computer. Install it and launch it afterwards. 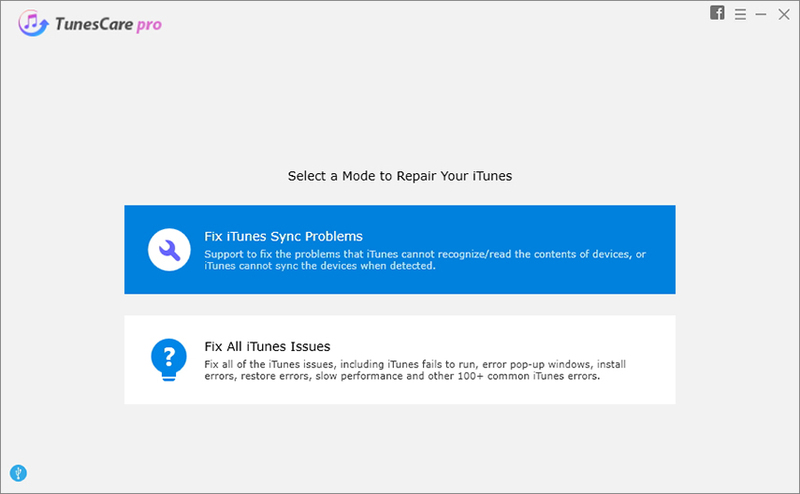 Now, hit the 'Fix All iTunes Issues' tab available on the main screen window. Step 2 – Next, you need to hit on the 'Repair iTunes' button to initiate the fixing of iTunes and all the prevailing errors. Wait for the process to complete. Step 3 – Within a short while, the process will be completed and you'll be notified by the software as 'iTunes is successfully repaired'. While moving towards the end of the article, we are now positive that you have full understanding about getting the latest iTunes version downloaded/updated over your Windows or Mac computers. Moreover, even if you still experience some issues while updating iTunes to the latest version due to some errors, the bonus tip to take help of Tenorshare's TunesCare will certainly get you out of the trouble and serve the purpose with the best. With this mighty tool you can easily get rid of several different unknown iTunes errors and get your work done smoothly thereafter.